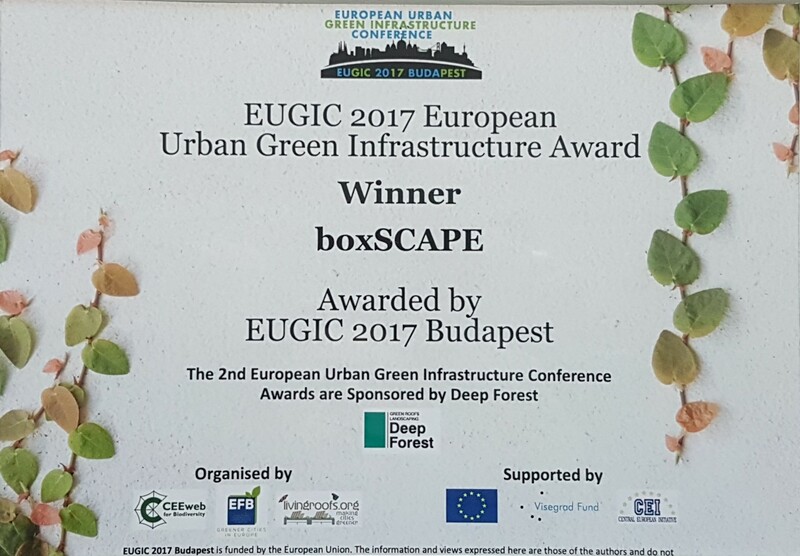 The 2nd European Urban Green Infrastructure Conference EUGIC took place in Budapest the fall of 2017. 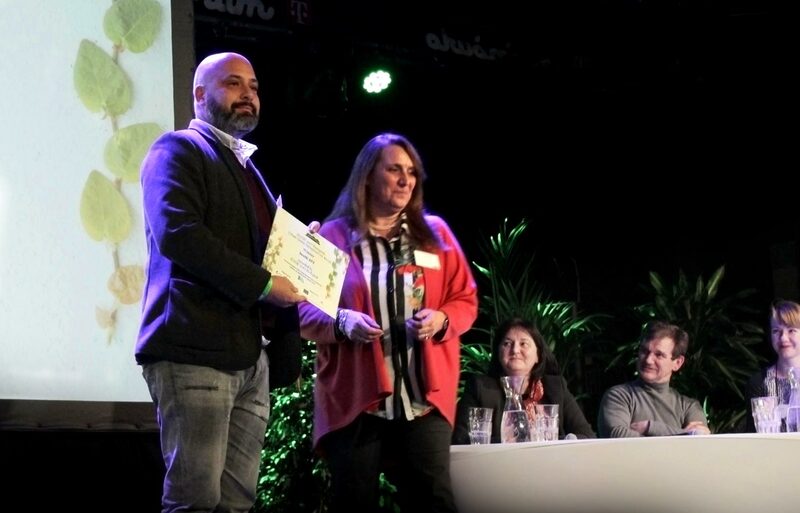 Gathering more than 300 participants along with leading urban greening experts and practitioners from Europe and around the world to celebrate green infrastructure and nature-based solutions for cities. 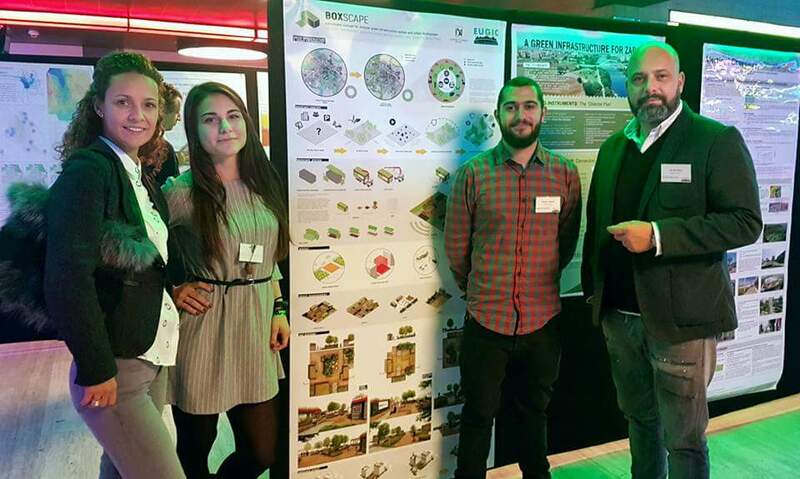 Landscape Design Studio was also a part of this important and exciting European green event. Just as every self-respecting conference EUGIC couldn’t go without an Award winning ceremony. 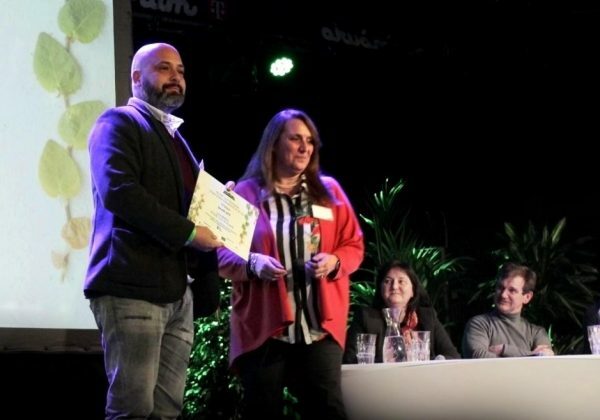 The Awards aimed to highlight the most innovative, interesting and creative urban greening projects from Europe and around the world. 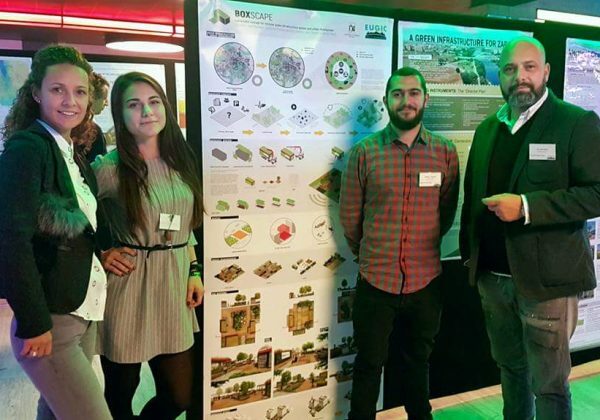 Landscape design studio’s BOXSCAPE project stood out amongst more than 30 other projects, impressed the prestigious jury and was presented with an Award by celebrated landscape architect Laura Gatti of Studio Laura Gatti (Milan Bosco Verticale, Nanjing Vertical Forest). BOXSCAPE enjoyed a great deal of interest during the conference. It impressed with its mobility, wide range of applications and capability of easily transforming urban spaces, promoting the green infrastructure and bringing nature back in our cities! 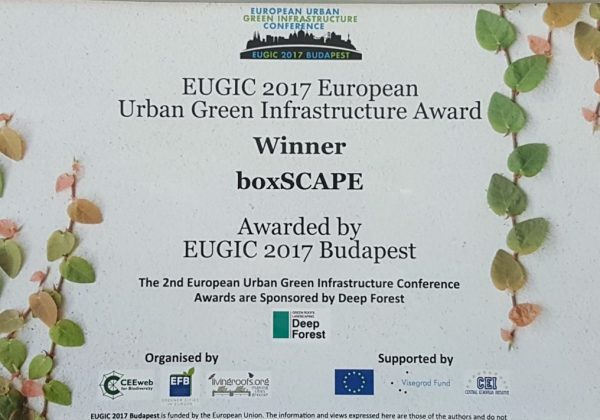 This appreciation by some of the most outstanding European and world greening experts is a great achievement for BOXSCAPE and proved that BOXSCAPE ideology has a bright future.